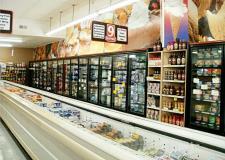 Our frozen aisles are filled with your favorite products to get you through your fast paced days. From breakfast to dinner to afternoon snacks, we have items that are nutritious and delicious. We have bag & block ice available.